Everyday we using products and are so used to using them a certain way that we don’t give it a second thought. There are tricks to certain products that can make life easier – here are the Top 10. 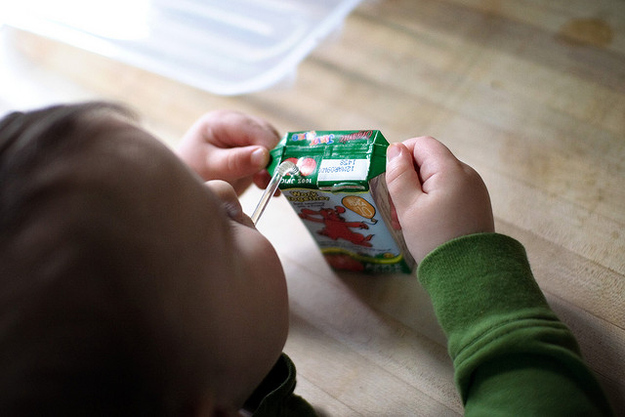 Next time you give your kid a juice box, pull out the flaps on either side. These form handles for your little one to hold onto and in way can prevent a spill. Has it often annoyed you that when putting a take-out cup on the table full of soda it starts to form a big puddle due to condensation. 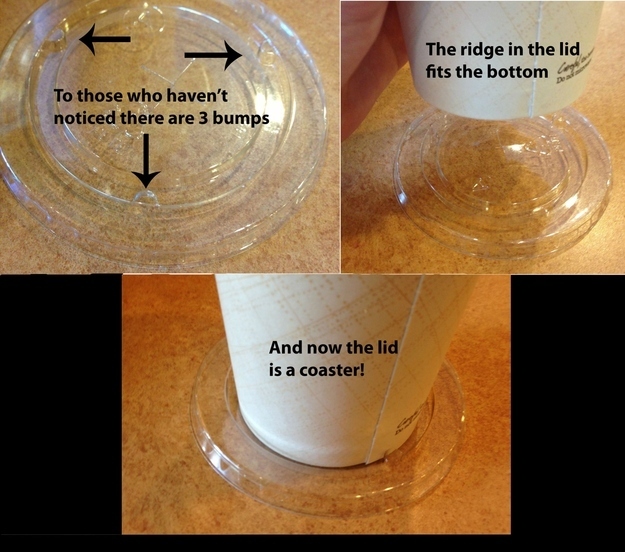 Well there is a trick to stop this – the cup lid can double as a coaster. 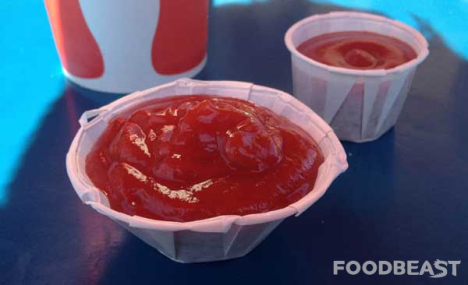 Have you ever wanted more ketchup that what those little ketchup holders can hold and wound up having to take two or three? Well there is an easier way – they are expandable. Grab the edges and pull it open, now you can fit double the amount in the same holder. Cooking dinner in a pot and have no where to put that ‘saucy’ spoon? Well pots have built-in spoon holders. 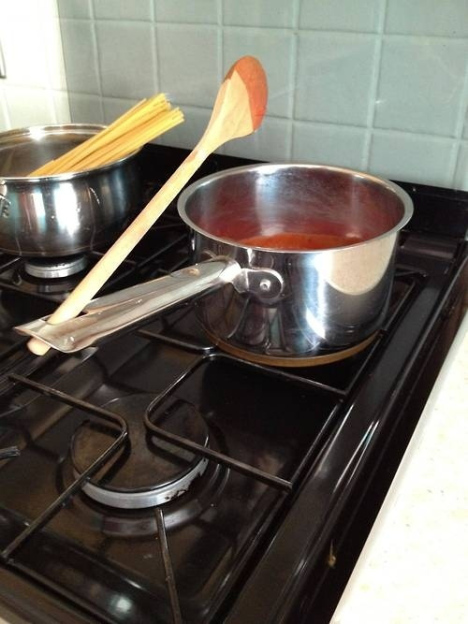 Put the back of the spoon into the hole at the end of the handle and the front part will dangle over the pot. You know how you violently shake the Tic Tac container into the palm of your hand in order to get a couple of Tic Tac’s out. Well it seems there is an easier, less dramatic way. 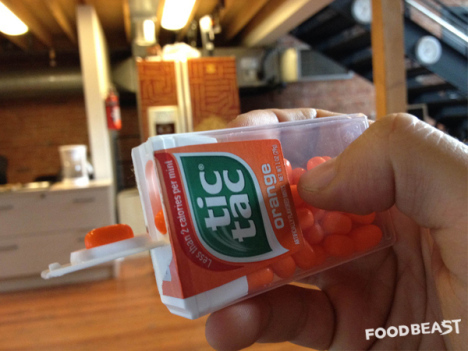 Just tip the container up and mildly glide a Tic Tac into the lid crevice. There is no need to be digging around at the bottom of a Chinese takeout container. 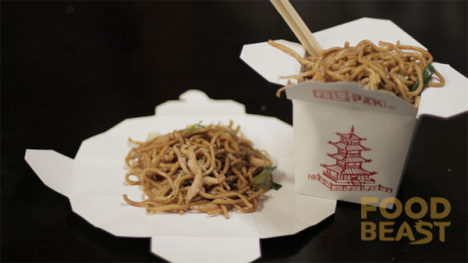 Most Chinese takeout containers are actually made to turn into plates. So just gently pull apart and you have a plate to eat your Chinese food off of. #4 Been Using the Wrong Toilet Plunger? Have you been using the wrong plunger to clean out a clogged toilet? Like most people you probably have. The most recognizable plunger is the flattish red one and this is what most people use, but that plunger is designed to clear clogged sinks. 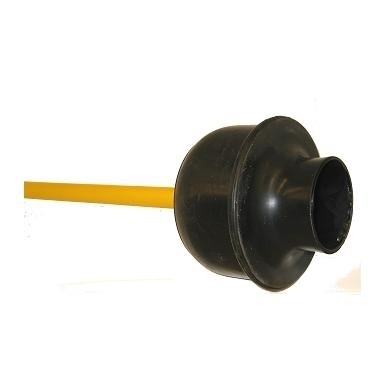 If you are looking for a plunger for your toilet the above black one is the one you need, this is the one specifically designed for clearing toilets. You know when you open a soda can and pop the straw in and it keeps rising from the fizz. Well the soda can has a built in straw holder to hold the straw in place. 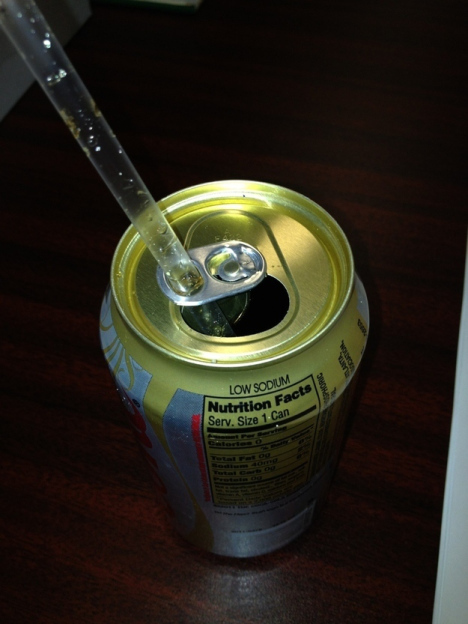 Just slide the straw through the tab and it will stay in place. 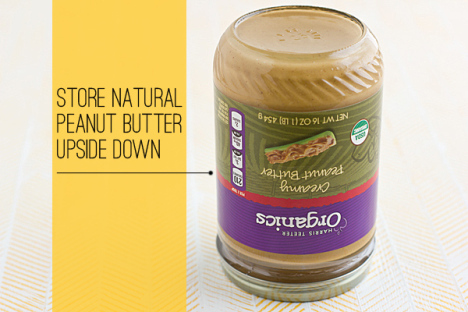 Do you open the jar of peanut butter and have stir it like crazy to mix in the oil on the top? Well there is a easier way. Store the jar of peanut butter upside down, this will ensure that the oil is distributed evenly and when you open the jar you will not have that layer of oil on top. You know when you go to rip a long piece of foil and the whole roll falls out the box and rolls across the kitchen floor? Well their is actually a tab on the box to stop this from happening. If you look on the end of the box there is a small tab that you punch in and this will keep the roll in place.